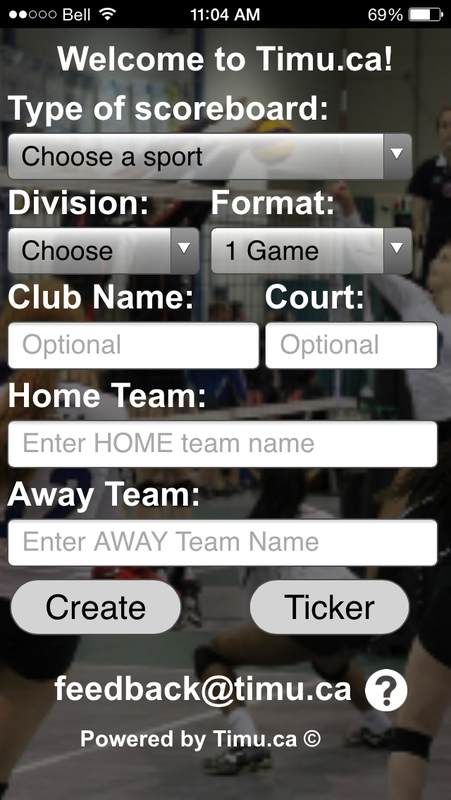 Timu.ca is a FAN generated mobile LIVE Scoreboard tool for amateur sports on your smartphone! Are you tired of texting scores to friends and family while you are at the game? Do you use a team app from an app store that only allows others with the app to see the scores? Do you need to manage, collect or post LIVE scores for a tournament and broadcast them on the web?  Create a LIVE scoreboard.  Track and update scores, periods, powerplays etc for your sport.  Email or text the link from your LIVE scoreboard to friends and family. 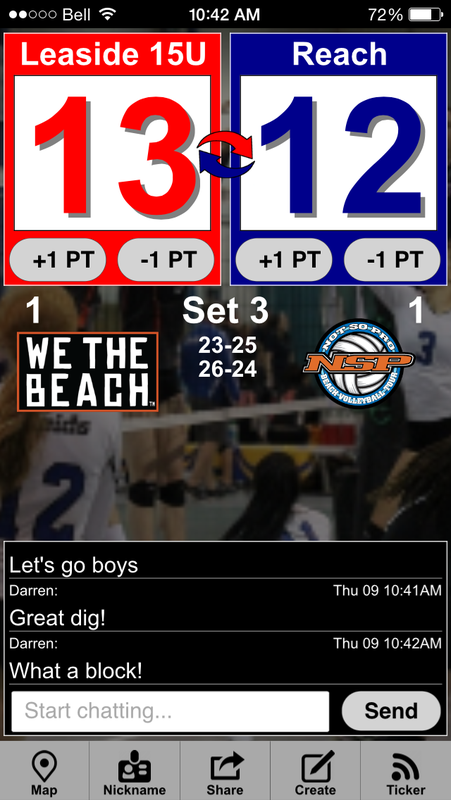  Post scores from your LIVE scoreboard to Facebook and Twitter.  Chat in your LIVE scoreboard with friends and family about the game.  Track multiple scoreboards on a 'ticker'. that is branded to your club colours. It is designed as a web app and therefore you do not need to download an app from an app store. Runs and interacts on all smartphone platforms, iOS, Android, Blackberry and Windows Phone. This website is for informational purposes, to use the tool, please visit www.timu.ca on your smartphone and you will be redirected to the smartphone version. Please contact us at feedback@timu.ca to inquire about embedding streaming tickers on your club or tournament website!